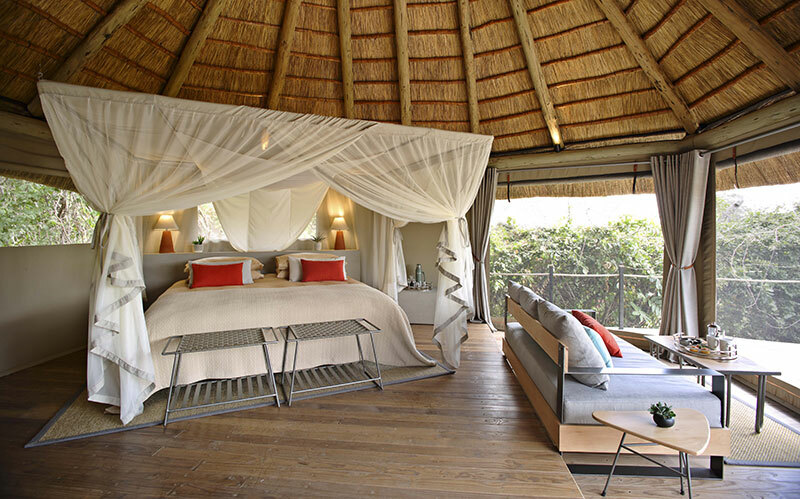 For those of you who haven’t yet had a chance to visit the newly reopened Lion Camp, let us take you on a visual tour. Renowned lodge photographer, Stevie Mann, was in camp a few weeks ago shooting our new official photos. The new Lion Camp colours are more in-tune with the surrounding bush. Those of you who know the camp well may recognise some of the furniture; in-line with our sustainability policy we reused as much of our pre-refurb furniture as we could, reupholstering, sanding, varnishing and painting our pieces to fit the new lodge. 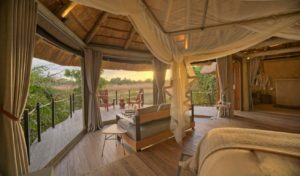 The new Lion Camp has 8 luxury suites and 2 deluxe suites. Our new luxury suites are elegant, open and airy. Each one has a private view of the oxbow lagoon in front which teems with wildlife. Our new bathrooms to the side (rather than the back) of the suite also come with a view, double sinks and a walk-in shower. Our new water filtration system delivers crystal clear water to every suite. 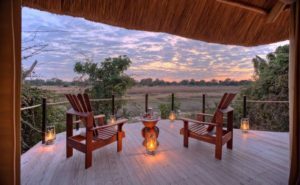 The deck on each suite provides the perfect place to relax and take in the sights and sounds of the Luangwa Valley any time of the day. For those of you who would like a little more – a larger room, a bigger deck and an outside bath all in the best spot in camp, our 2 deluxe suites may be just what they you are looking for. 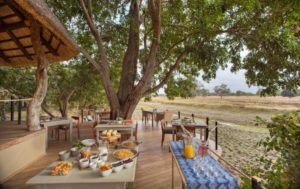 At Lion Camp dining is part of the safari experience. Some of our most memorable sightings have taken place in front of camp during mealtimes. Our menu is varied and healthy, African cuisine paired with fine South African wines. The Lion Camp pool has also been refurbished and offers a much-needed relief from the heat in the hotter months. Our new boma is one of the highlights of our refurb. This simple, elegant space under the stars is a great place to end the day. Your tour ends with the Lion Camp bar, a great place for guests to meet up after their game drive, enjoy a ice-cold gin & tonic and share stories from the day. Lion Camp reopened with a stellar guiding team. Meyam, Mukupa and Simon will be known to those of you who have visited Lion Camp before the refurb. They are now joined by Innocent and Thomas and make up what is, I think, the best guiding team Lion Camp has ever had. With 50 years of guiding experience between them our 5 guides are not only incredibly knowledgeable about the Zambian bush but are passionate about it too. 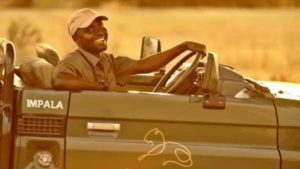 Becoming a guide in the Luangwa Valley is not an easy task, it requires a lot of study, dedication and commitment to pass the rigorous guiding exams. Our guides have come from all walks of life, Meyam started out working on a Croc Farm, Mukupa was a teacher, but all share a love of the bush and of sharing this with the guests they guide. Game-viewing in the last few months has been outstanding. Four young male lions have moved into the area challenging the existing dominant males. Leopards are plentiful and are hunting well but are hardly getting to eat their own kills. 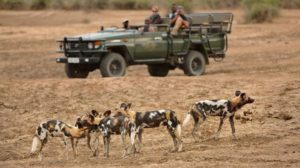 In recent weeks, Lion Camp guests have seen a leopard kill taken by hyenas and one taken by wild dogs. Recent guests were also astounded to see 2 pairs of Honey Badgers in 2 days. The game-viewing from camp has been equally exciting. The lagoon is drying up and the exposed fish are attracting large numbers of birds including pelicans that have not been seen for 2 years. 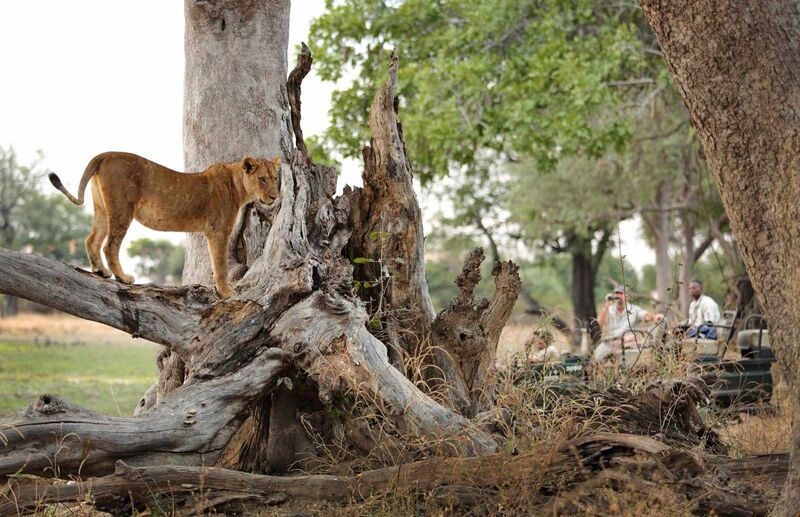 We’d also like to share with you some fantastic safari shots taken by Todd Biever who was a guest at Lion Camp in July.